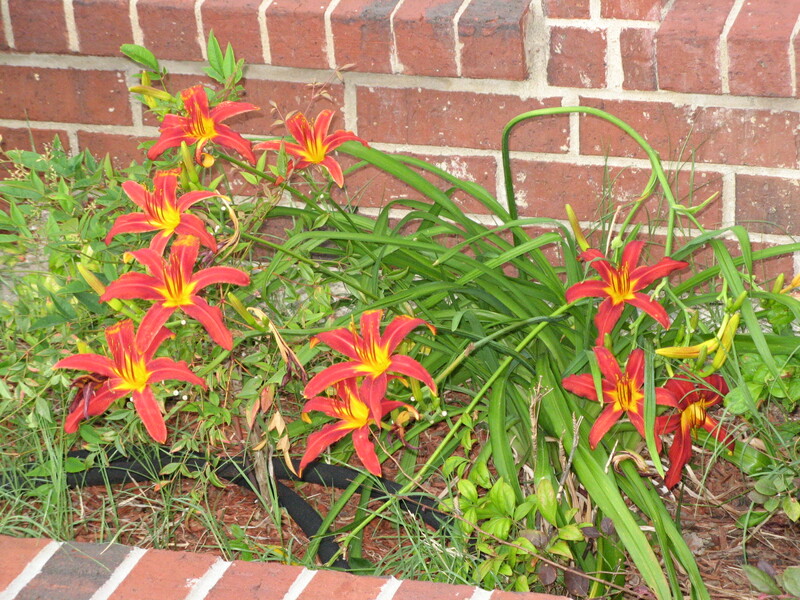 I discovered that I had left the digital camera outdoors during some rain, so it is now completely inoperable. 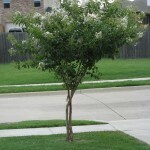 I will be shopping around for a replacement. 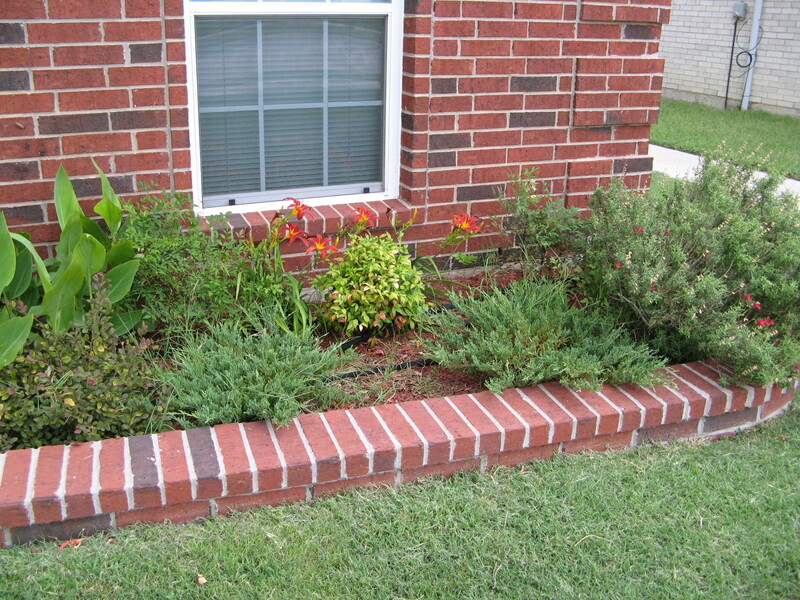 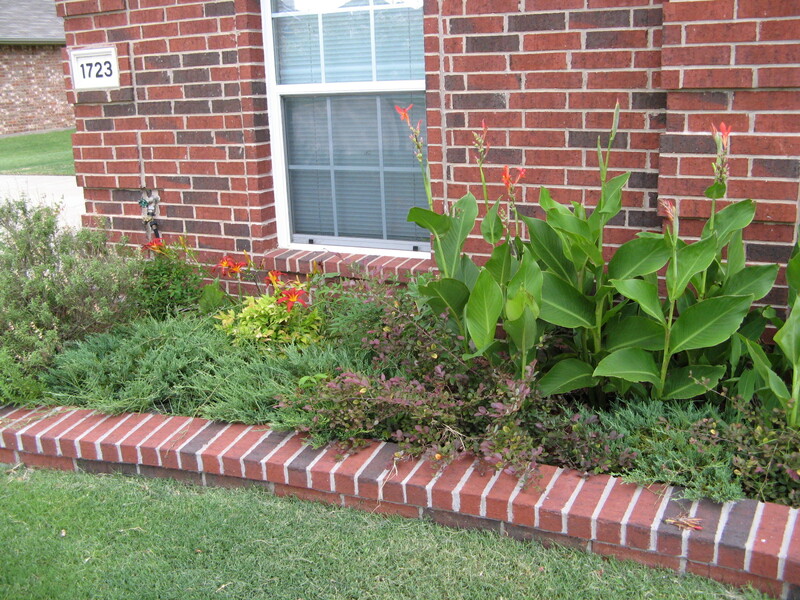 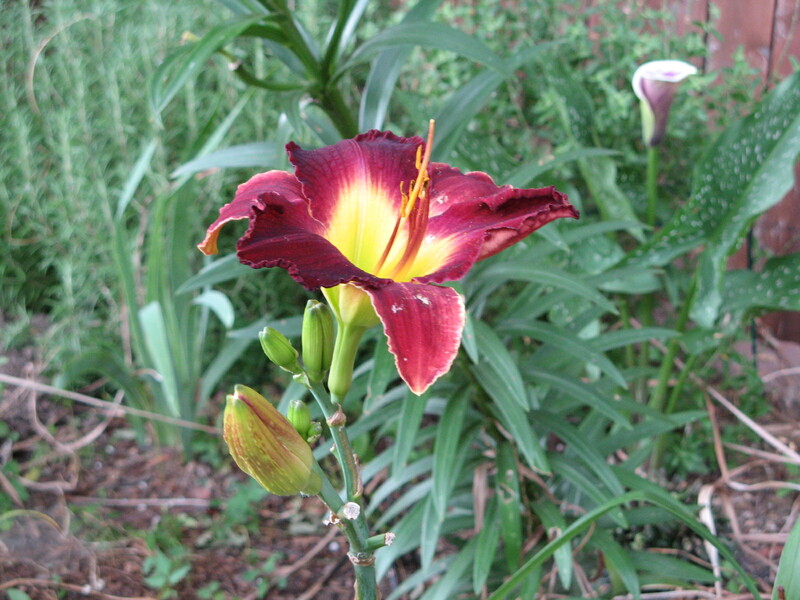 Meanwhile, the daylilies are still blooming, especially the Crimson Pirates…and the white crepe myrtles are still in full flower. 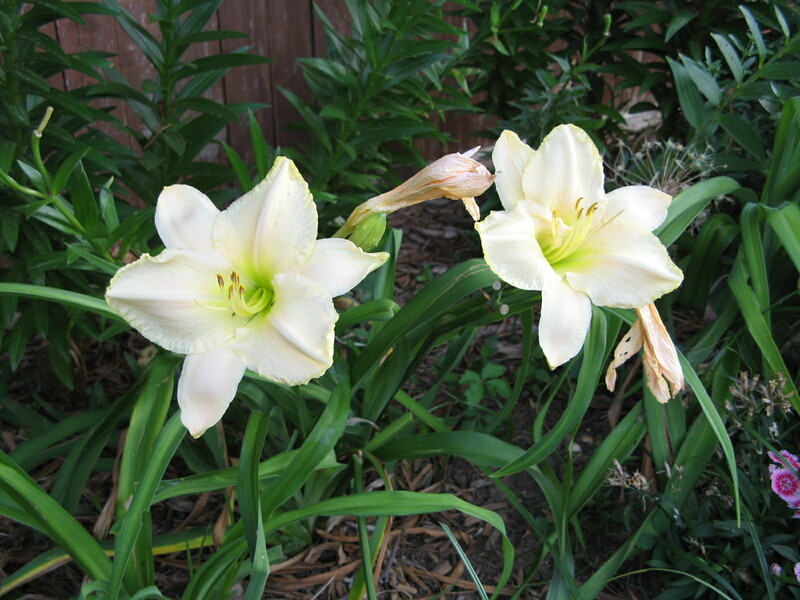 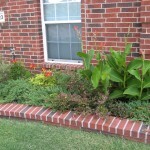 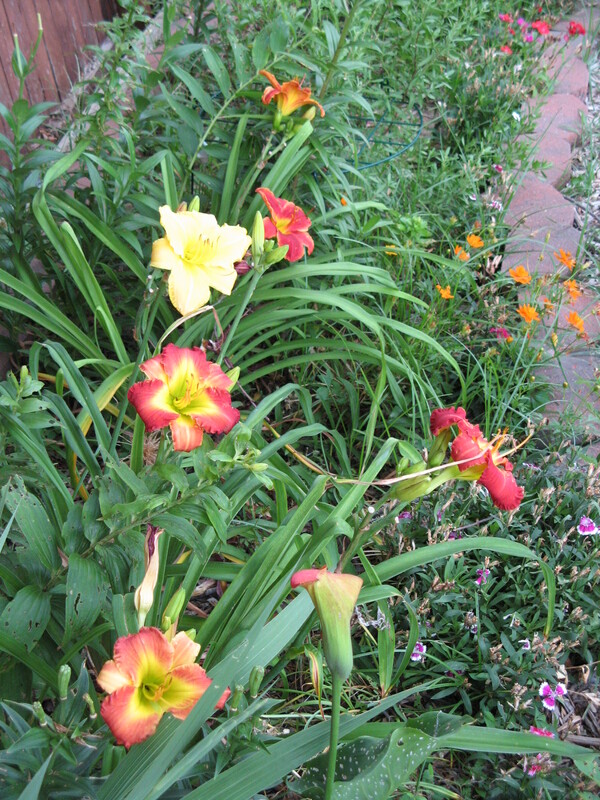 Like clockwork, the spring lilies wound down their show to make way for the daylilies of summer. 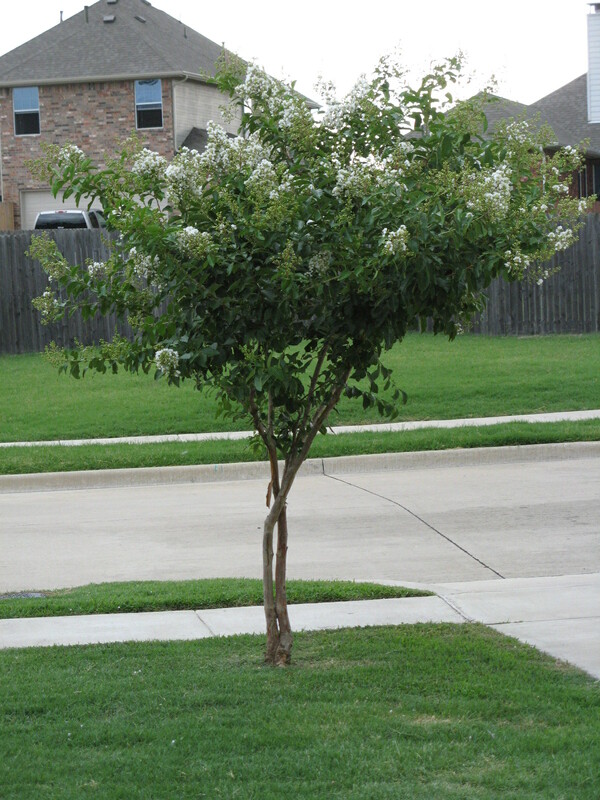 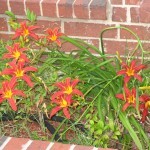 What’s interesting to note is that the Crimson Pirates, listed as mid-season bloomers, are blooming in full force in early June. 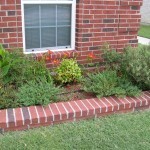 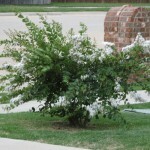 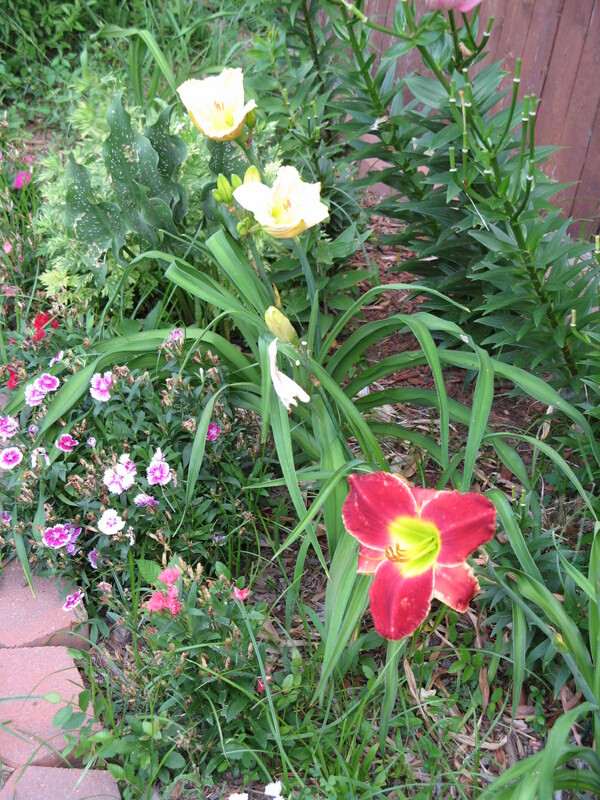 The front yard beds have very robust bloomers at this time, and they love to arch toward the sun. 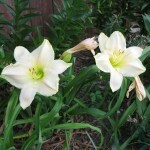 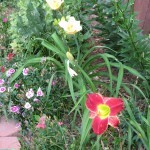 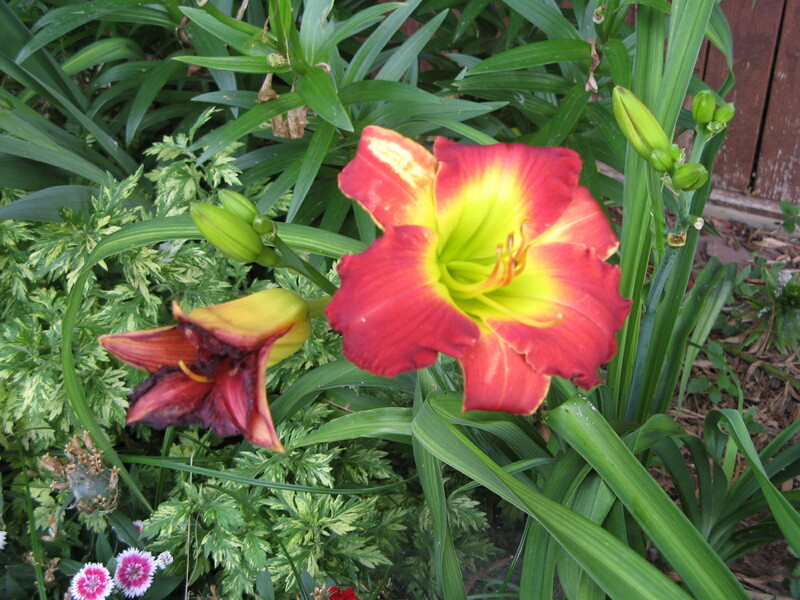 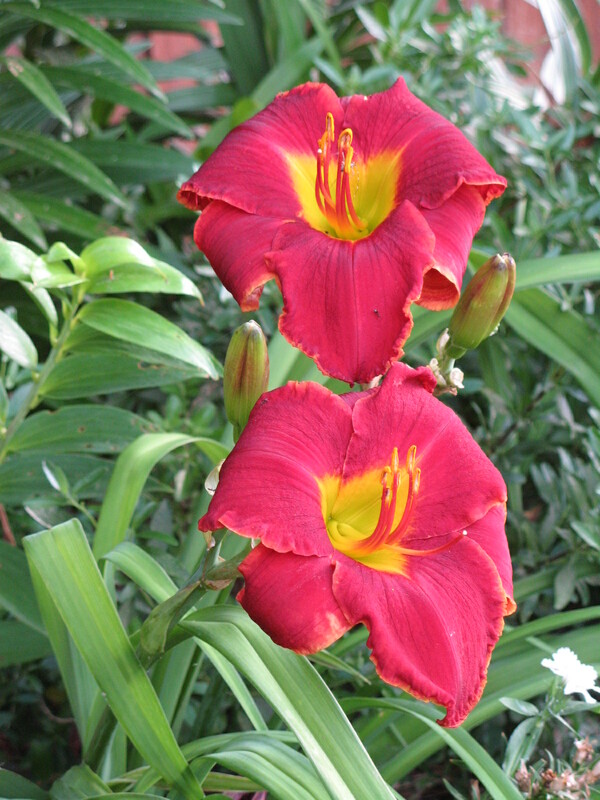 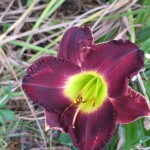 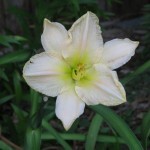 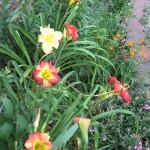 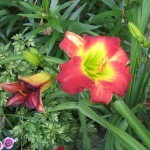 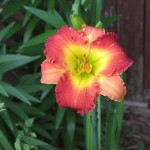 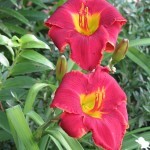 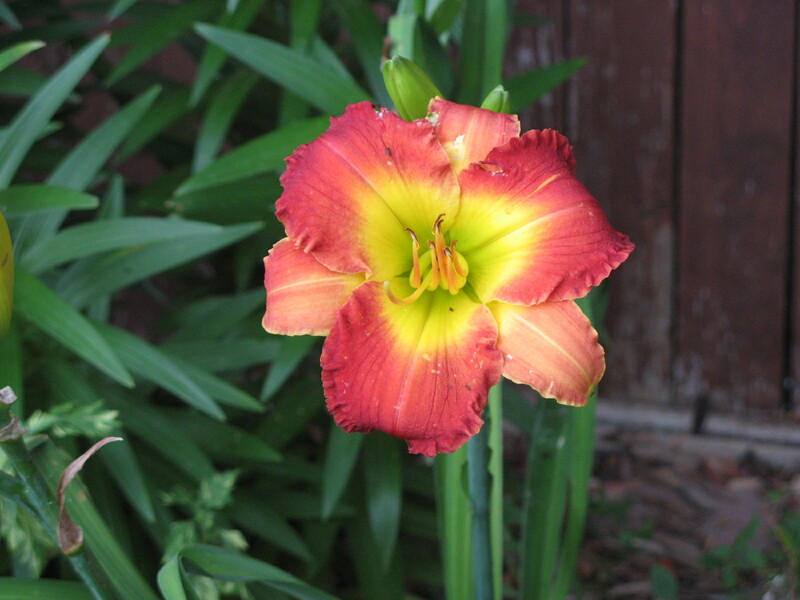 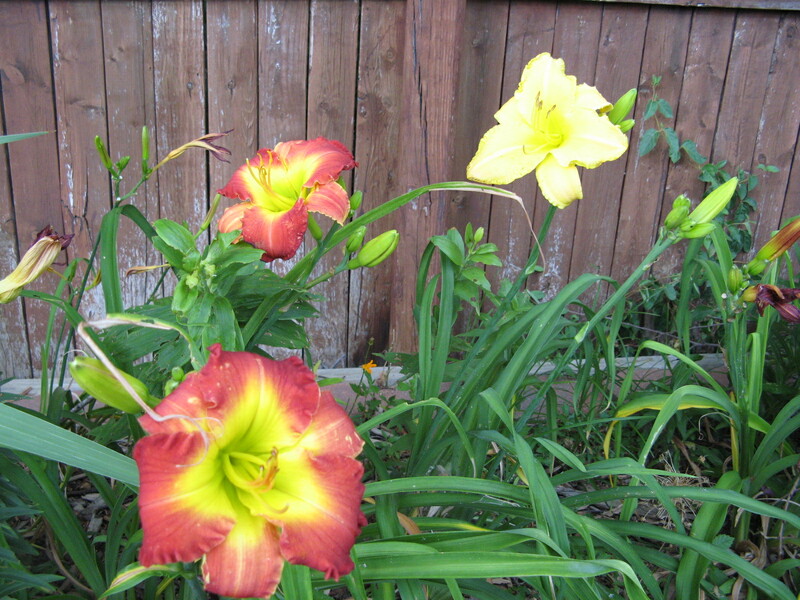 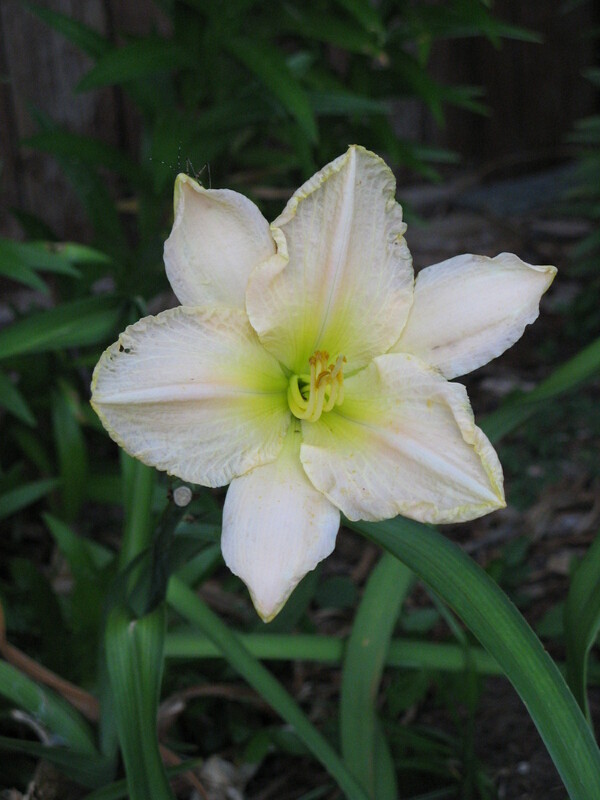 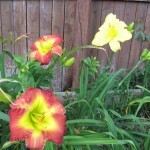 Of all the daylilies so far, the Pirates have the smallest bloom sizes, but the most flowers per scape. 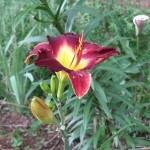 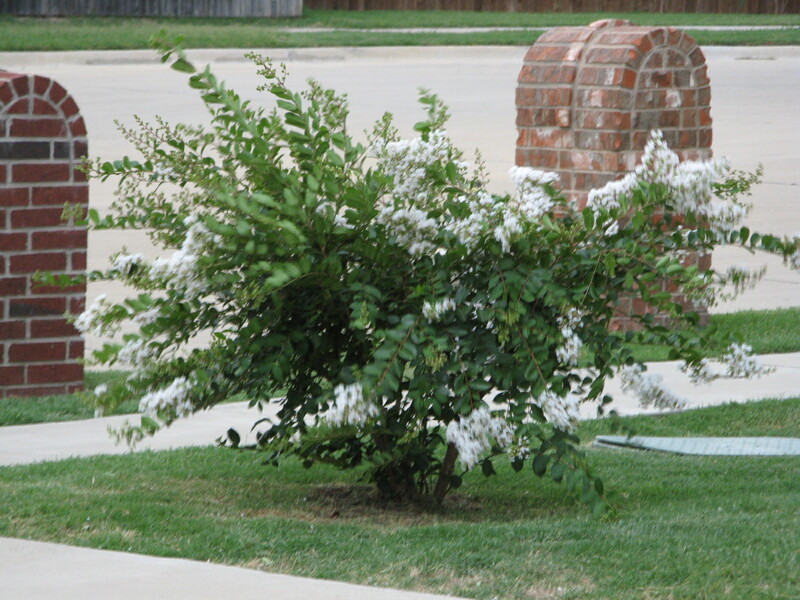 I suspect Out Back Red has already made a showing, but none of the blooms I’ve seen have measured 7″ across yet. 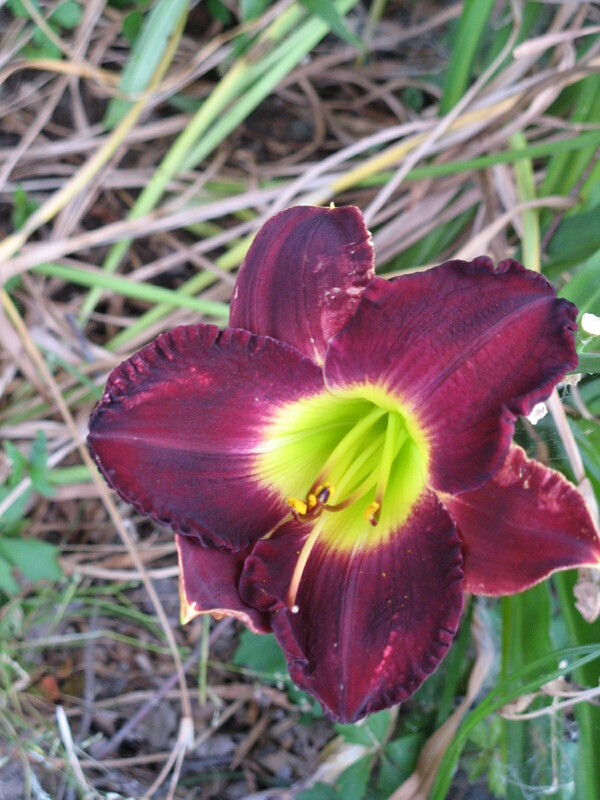 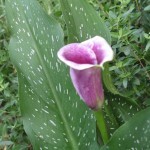 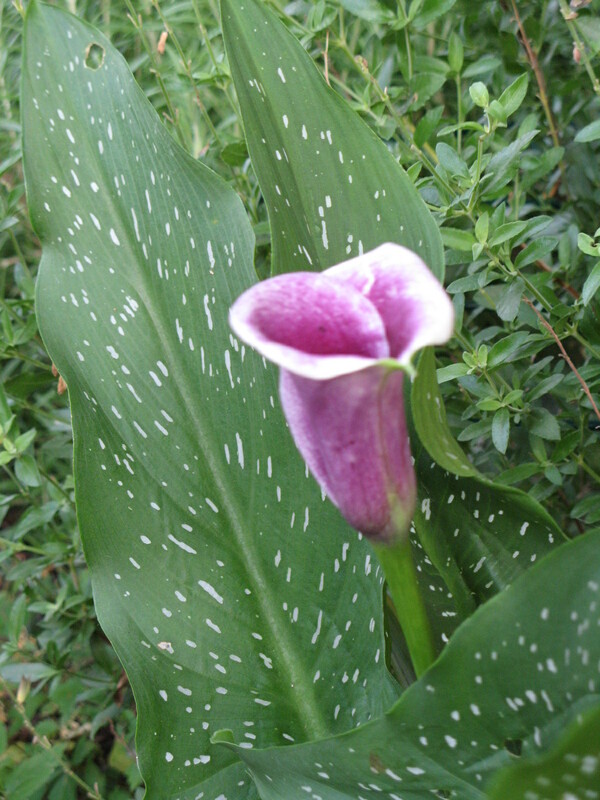 I am not particularly impressed with Midnight Raider’s colors, not as intense as I would like, but it does pair well with the neighboring Vermeer calla lily.